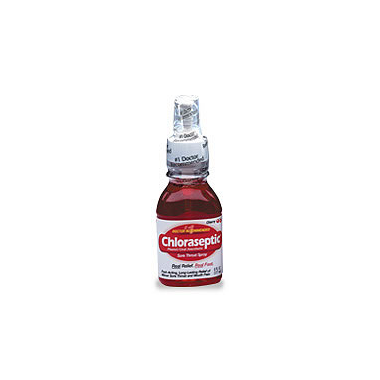 This #1 doctor-recommended product is a phenol/oral anesthetic sore throat spray. Use it for fast-acting, long-lasting relief of minor sore throat and mouth pain. Taste horrible, but will heal a sore throat like nothing else. I spray 2-3 sprays in the back of my throat and then gargle water for about 5 seconds, then spit. It really works.